Welcome to Beyond Co-Op, the weekly piece that looks at important stories around the gaming industry that may or may not be related to cooperative videogames. This week is all about Valve, Steam specifically, as the Washington based company announced their living room effort. Valve had a trio of announcements this week starting it off with the announcement of an open source operating system called Steam OS. The OS would be built around streaming movies, videos, and games to your television as well as playing compatible games directly. Valve is working directly with hardware partners for their second announcement which is called Steam Machines, hardware devices running Steam OS and available for your living room. 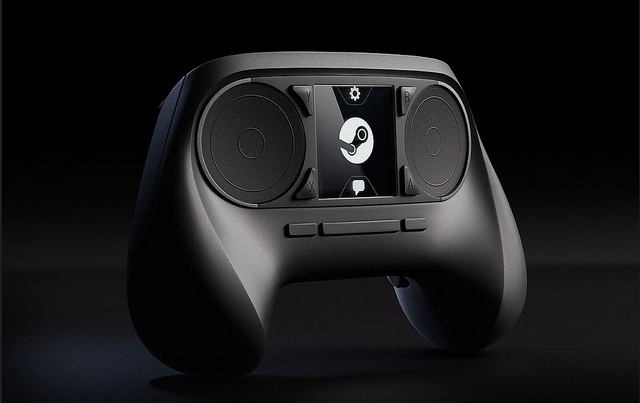 The final announcement was a bit more dramatic, Valve announced an official Steam controller, and while a controller announcement itself isn't unique the functionality and style of the controller is. The controller features dual trackpads instead of analog sticks and supports haptic feedback. The center screen is a configurable touch screen and there' s a total of 22 button combinations available. Perhaps most interesting is the ability of the controller to emulate a keyboard and mouse so that it'll work with ANY Steam game. All of these announcements are geared towards 2014. This week's PlayStation Plus releases feature some quality titles (as usual). Available are classic game Shadow of the Colossus. Hotline Miami, Poker Night 2, Amalur, and Sine Mora wrap up the other titles available for your instant game collection. Since THQ went under, the fate of the next South Park game has been in flux. Snatched up by Ubisoft and developed by Obsidian, the RPG will release on Xbox 360, PlayStation 3 and PC on December 10th. Of course this date puts it late in the year, after the much lauded "black friday" deadline for games and consoles. Could it spell doom for the title? Probably not - Steam has shown has games can find success at any time of the year. Page created in 0.5914 seconds.